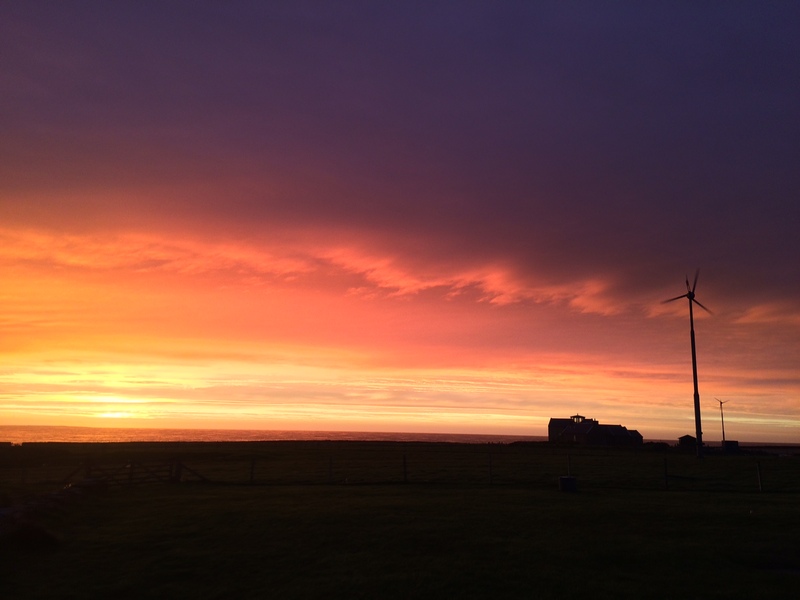 We have ended up on North Ronaldsay this week to spend time with the nurse practitioner in charge of the islands health care. 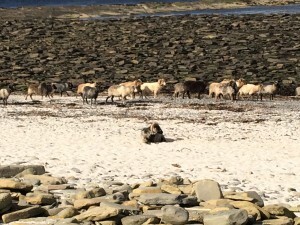 The northernmost isle of the Orkney Isles, it is home to about 50 full time residents and a variety of sheep endemic to the island, aptly named North Ronaldsay sheep. 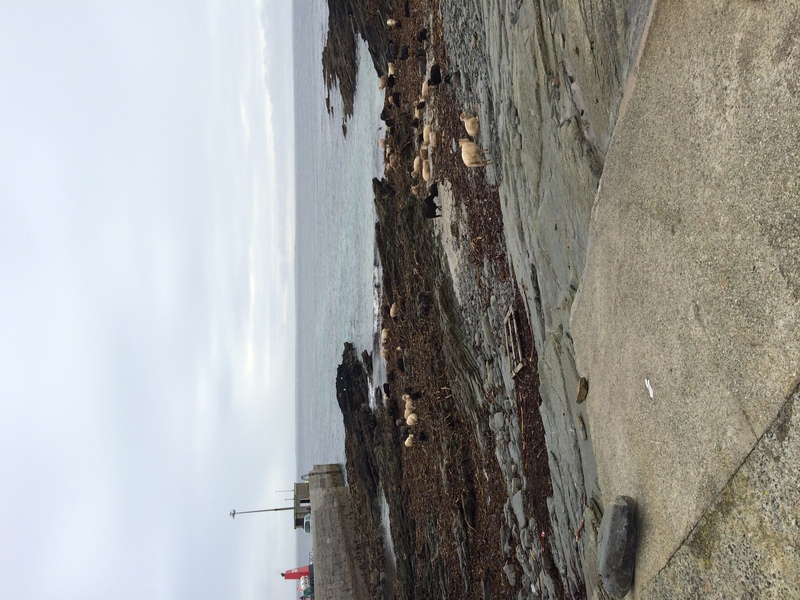 In the early 1800’s North Ronaldsay was home to a population of over 500 people. Given that the island has a total area of 6.9 square kilometres that is a lot of people living off a small amount of land. Thus the sheep were pushed to the foreshore and a 13 mile stone dyke was built around the island to keep the sheep confined to the foreshore and allow the population to utlise the land. Subsequent to this, the sheep began to live predominantly on seaweed and have evolved their physiology and metabolism to living on seaweed. The sheep are quite different to our bog standard Romney or Merino that wanders round the hills in NZ. They are very small and rumination times for these sheep are not dictated by day and night but by high tide and low tide. 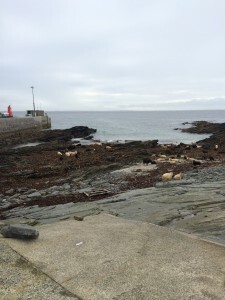 Seaweed has certain properties that leads to it binding metals at levels not usually seen compared to grass diets.Thus trace metals such as copper that are necessary in the diet are bound to the seaweed so these sheep have developed a ‘hyperabsorptive metabolism’ of copper to make up for the relative deficiency in copper caused by eating seaweed all the time. This is pretty smart, but when the sheep come onto a field to eat grass, as they do during lambing when feed requirements are higher, grass doesn’t have these same metal binding properties. So whilst grass contains similar if not smaller quantities of copper than seaweed, the sheep are prone to hyperabsorb the copper leading to copper overload. So, amazingly, it is not uncommon for the North Ronaldsay sheep to develop copper overload disease otherwise known as Wilsons disease – complete with Kayser Fleischer rings. We were lucky enough to get shown around a local farm that had a spectacular assortment of rare sheep breeds, including the North Ronaldsay breed, Icelandic sheep, and Soay sheep. We were told that they regularly are on the look out for Wilson’s disease in their sheep, often first recognised by the sheep going off their food then easily seen by looking into their eyes. Haematuria is a late sign, but is often seen if not picked up early enough. Treatment is usually with rehydration and ammonium tetrathiomolybdate and response rates are good. 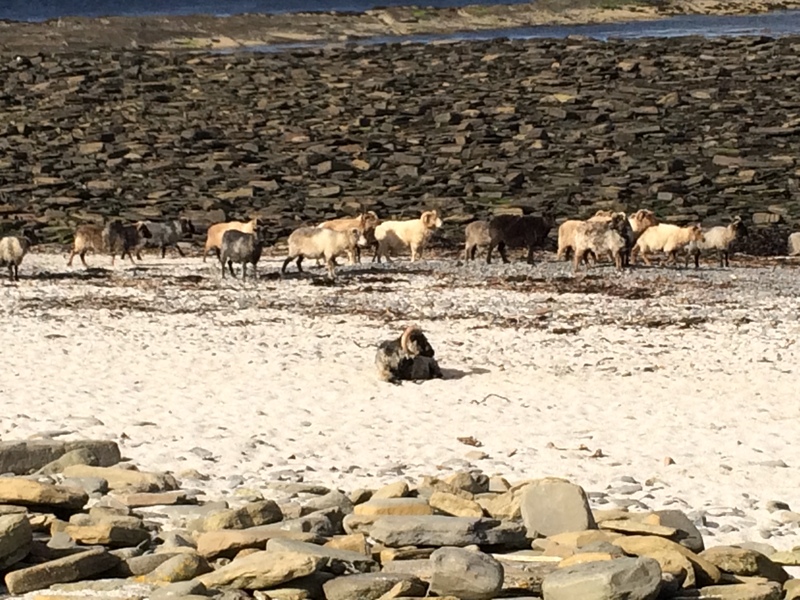 There are about 3000 sheep living on the foreshore here in North Ronaldsay. There are no fences heading down to the water to keep each piece of foreshore separate, so each farmer has a certain ear cutting that allows their sheep to be differentiated from others. When the sheep need to be shorn or dipped or separated for lambing, the farmers work communally. At high tide the sheep are moved along the foreshore into ‘punds’. These square stone sided structures are inset from the dykes and are basically the equivalent of sheep yards in New Zealand. Here is where the sheep are sorted and separated for what requirement the farmer has of them and once complete all are released back onto the foreshore. It sounds like quite a wonderful showcase of the community working together. We were told that most of the rounding up of sheep happens during the ‘sheep festival’. 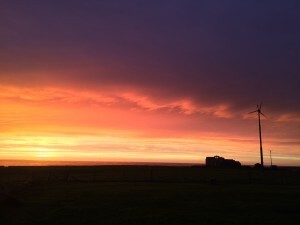 Volunteers come out to the island for two weeks a year to help all the farmers with dyke rebuilding, shearing, dipping, etc. During this two week period there are dinners and dances put on by the local community to say thanks. Sounds brilliant!! Given their unique diet, the sheep have also been said to have a unique taste. Some people we talked to compared it to beef, others said it was much more salty than other lamb. Given these ‘taste characteristics’ it is an appealing meat to be served in restaurants hence most of the islands meat is shipped around the U.K. We were treated to a couple of roast muttons whilst here…. to be honest I thought it tasted like mutton. It has been a great week on ‘North Ron’ and we look forward to our next outer isle adventure in a couple of weeks. What great adventures you two are having. Loved the sheep story. Interesting tale about the sheep with copper overload or Wilsons Disease Jono. I haven’t heard of it in NZ but some areas report sheep with copper deficiency. The main symptom seen is Swayback or Enzootic Ataxia where lambs can not coordinate their legs because the central nervous system has impaired development as a foetus and euthanasia only thing to be done. Also seen is increased fractures in young lambs and loss of pigmentation in black woolled sheep. Cattle can show loss in pigmentation in the hair around their eyes making them look like they are wearing glasses.